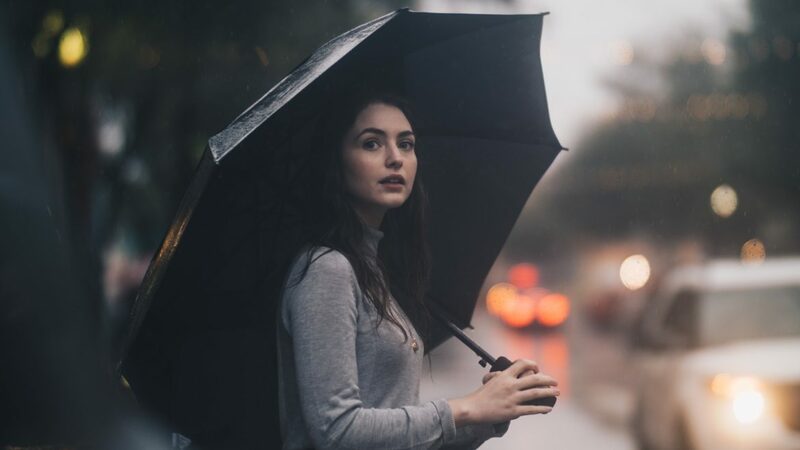 Traveling during the rainy season can be a very soothing and enjoyable experience, especially if you are a rainy-day lover and you are aware of the precautions you need to take before leaving for your trip— such as packing essentials. For a normal rainy day, an umbrella and a pair of rain-boots would be just fine, but for traveling long distance during a rainy season, you’re going to need a little bit more than that. When traveling, you don’t always have the luxury of drying off indoors for a whole day, nor can you take the day to dry your clothes. To work around some of the less-appealing factors involved with rainy season travel, here are five must-have items that you should pack. If you’re going to be traveling during a rainy season, then chances are you’re probably going to be out a lot. With that being considered, you’re definitely going to want to add a good raincoat or poncho to your list of essentials. It’s important to note that not all raincoats have the same qualities. When you’re shopping for your raincoat, make sure you’re paying close attention to the fabrics, since the fabrics used say a lot about the breathability and waterproofing qualities of a raincoat. Yes! Those qualities matter. When it comes to footwear, you want to make sure you’re not only wearing shoes that are comfy but also that they’re water-resistant and slip-resistant – to stay comfy while traveling, it really is imperative to keep your feet warm and dry at all times. You’ll also want fast drying socks to keep your feet protected. Merino wool socks have been popular amongst travelers for years. They’re made of the warmest, most breathable fabric, and you can go weeks without having to wash them (you heard that correctly!). One pair of merino wool socks can replace several pairs of cotton socks, therefore saving you some packing room. Another good idea is to invest in fast-drying clothing. Wearing fast drying clothes, when traveling during the rainy season, will decrease the chances of you getting sick during your trip. Merino wool clothing is also very popular amongst travelers for its quick-drying abilities. And not only does merino wool dry fast, but it’s also lightweight. To avoid ruining your personal items and electronics during your travel, you should consider using waterproof bags. These could be as modest as a few Ziploc bags, or you can go all out on one of these nice waterproof bags. If you like to keep your electronics on you, waterproof pouches are a good idea too, especially if your devices aren’t water-resistant. Lastly, you are going to need a good flashlight and a few backup batteries. During the rainy season, there is always the possibility of power outages, so it’s best to be and stay prepared. It doesn’t have to be a bulky flashlight – just something small and functional, in case of emergencies. In conclusion, in addition to your obvious needs (foods, umbrella, etc. ), make sure you have a good raincoat, water-resistant footwear, fast-drying clothes, waterproof traveling bags, and a good flashlight with backup batteries. Traveling during the rainy season can be quite the adventure, especially when you’re properly prepared.